Hi Ladies, Tiffany today. Do you want to know how to spark an instant connection with someone new? Here are some simple to follow dating tips that will help you make a great first impression! Of course you want to make a great first impression when you meet someone new, especially when that someone is a handsome potential boyfriend. It’s actually easier than you would think! Here are four simple dating tips to help you shine…. It’s easy to get caught up in a one-sided conversation, where you talk non-stop about yourself in an effort to impress, especially when your nerves take over. Sadly, this tactic will usually backfire, leaving him disinterested, and leaving you wondering why. The next time you meet a new man, avoid the temptation to over-share. Instead of making it all about you, keep the conversation flowing back and forth. Of course, don’t interrogate him with questions. But do encourage him to talk about himself now and then. Respond with genuine interest, and really get to know each other! It’s normal to feel a little anxious and jittery on a first date. But don’t let your nerves get the best of you! Take a deep breath, relax and focus on him. Chances are he’s just as nervous as you, so make him feel at ease and the conversation will flow naturally! Speaking of conversation, remember to speak slowly and clearly. Rambling on is a sure sign of insecurity. Men are attracted to confidence, and if he feels comfortable when he’s with you he will want to spend more time with you! According to Psychology Today, being in sync with another person is attractive. If you adjust your posture to match his, and follow his gestures, it will make you infinitely more alluring. To establish an instant connection, mirror the tilt of his head, make eye contact, smile when he smiles, and shift your body along with him. We can communication volumes with our bodies! Occasionally lean in toward him when he says something interesting. Keep you feet pointed forward towards him, with your legs uncrossed and comfortable. Arms should be also be uncrossed in a natural position with your hands relaxed and open. And be a bit flirtatious by playfully touching your jewelry or your hair. This is all considered positive body language, a hot topic when it comes dating advice for women! 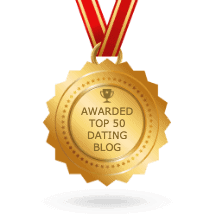 We all know and love Gregg Michaelsen, Boston’s tops dating coach, and best-selling author of dating advice books. If you’ve read any of his books, you know self-esteem is a key issue in his dating advice for women. Gregg reminds us over and over again that we are quality women, and we should never change ourselves for anyone or give up who we are, especially for a man. Don’t lie and say things just to impress a guy. Be open and honest about your likes and dislikes right from the start, and let him get to know the real you, and how amazing you are! If he doesn’t like you for who you are, or if you don’t have anything in common, he’s not a good fit for you anyway! Don’t sweat it. You can have your pick of men, and your perfect match may be just around the corner waiting to have an instant connection with you! If your new acquaintance doesn’t heed this advice, cut him some slack if he makes a less than stellar first impression. Nerves can get the best of him too, and there may be a great guy hidden beneath all that narcissistic, insecure rambling. Now if he still makes it all about him when you meet again, that’s a whole ‘nother story! Labor Day Sale – One Day Only! Get “To Date A Man, You Must Understand a Man” for $2.99! That’s a savings of 40%! Eligible to USA readers only.